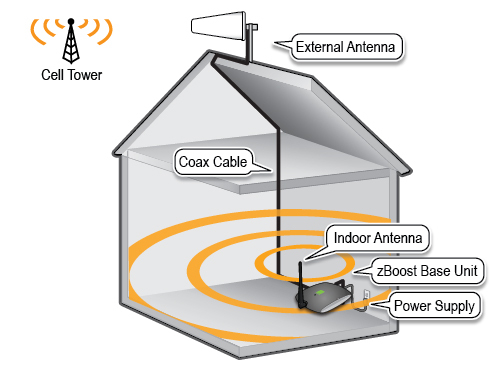 The zBoost TRIO ZB585X Xtreme REACH Signal Booster will boost the dual band frequencies used for voice calls and 3G data by most major carriers in North America, as well as 4G LTE for either AT&T or Verizon Wireless (based on the amplifier you select). It is designed for boosting the signal in apartments, mobile homes, one-story houses and offices up to 5,500 sq ft with a strong signal outside. The zBoost TRIO ZB585X Xtreme REACH will allow you to use your phone inside without requiring it to be connected to the booster or sitting in a cradle while in use. The zBoost TRIO ZB585X performs best when covering a single floor and may not work well in multi-story homes and offices. 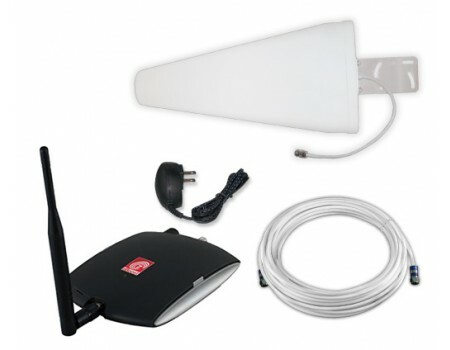 The zBoost TRIO ZB575 includes everything needed for a typical installation. To start, decide where you plan to mount the outside antenna, keeping in mind that you need at least 15 feet of vertical separation between the outside antenna and the inside base unit. 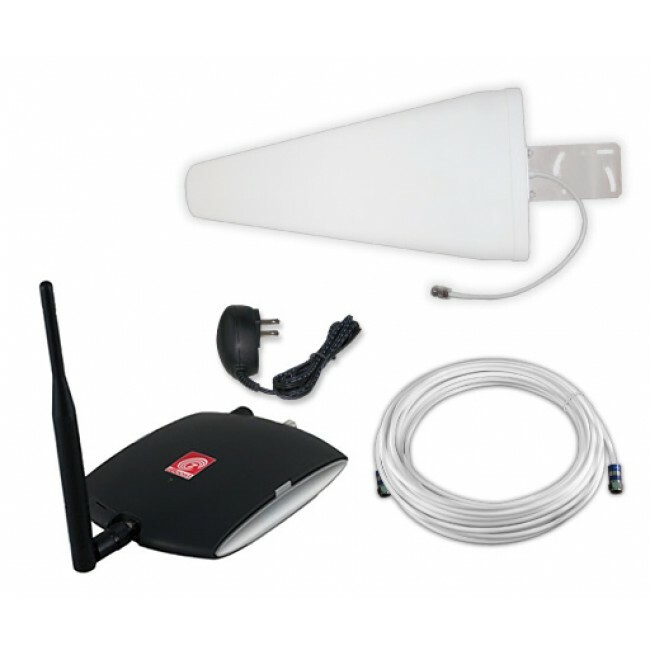 You should mount the external antenna on a vertical pole high up on the roof, in the location where you receive the best outside signal. The included outside antenna bracket should be mounted to a pole, like a TV antenna mast.